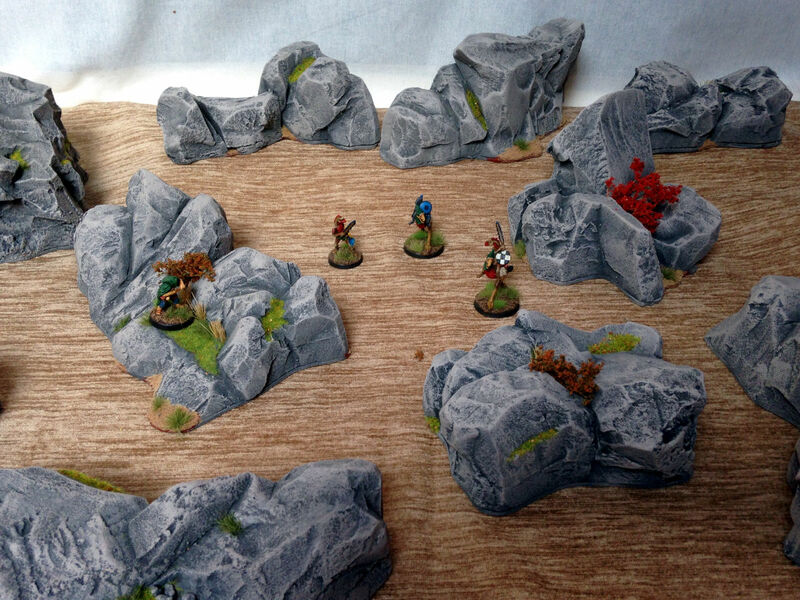 Terrain serves two main gaols on the games table, 1. add atmosphere, and 2. offer strategic opportunities by restricting LOS and movement. 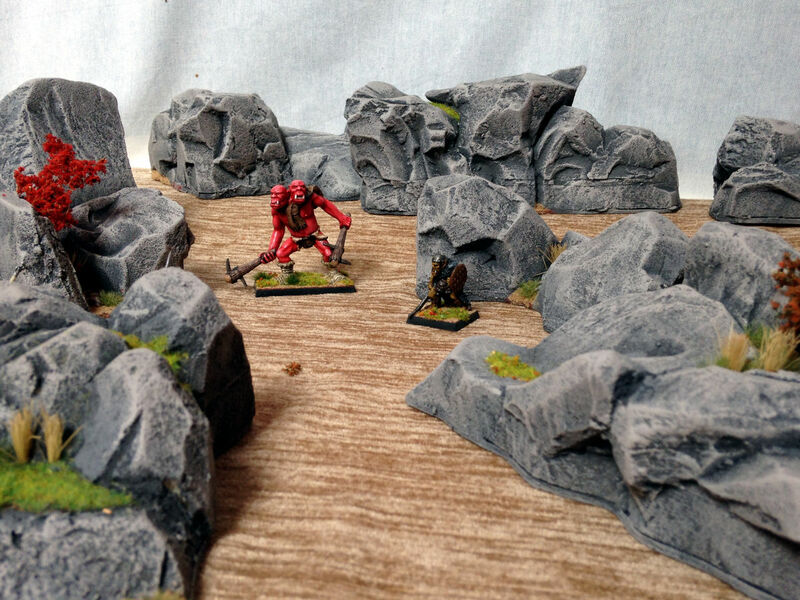 As I’ve been wanting to add to the basic hills, trees and walls set but still have a reasonably flexible I felt that rocky outcrops would fit the bill nicely, useful for both sci-fi and fantasy games. 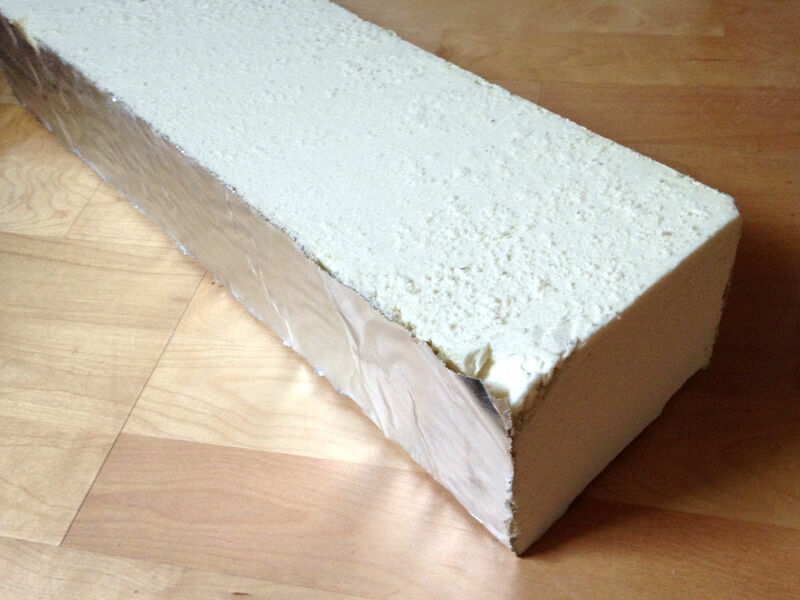 This stuff is light, compact foam. Not as tough as blue foam and a bit dusty. It is also reasonably safe to use as along as you take caution against breathing the dust (note that some brands have glass fibre added which is to be avoided). 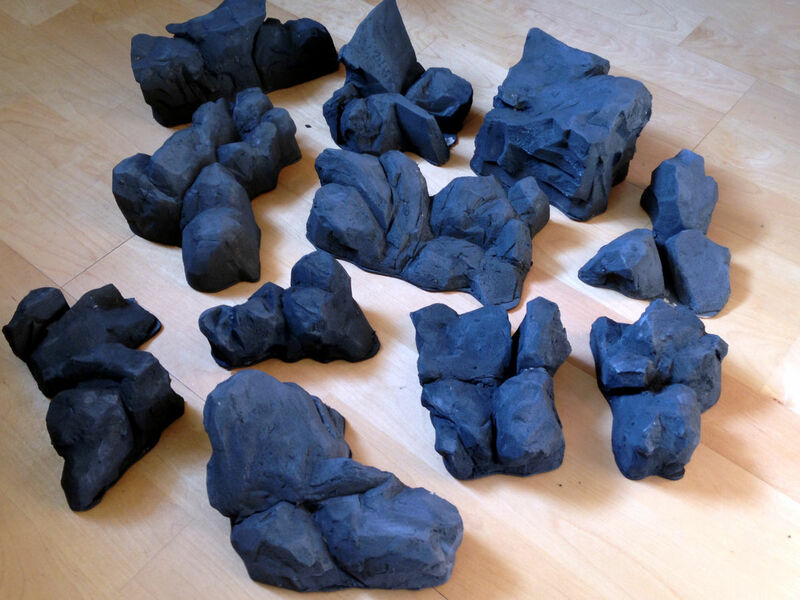 First step was to cut some base material to mount the rocks. I carved up some thick card (the type you get when ordering reams of paper from the printer) into organic shapes. Taking the foam to the back yard I roughly chopped up what I had and using a glue gun started with some very rough shapes. Once the glue hardened I continued the ‘sculpting’ process. 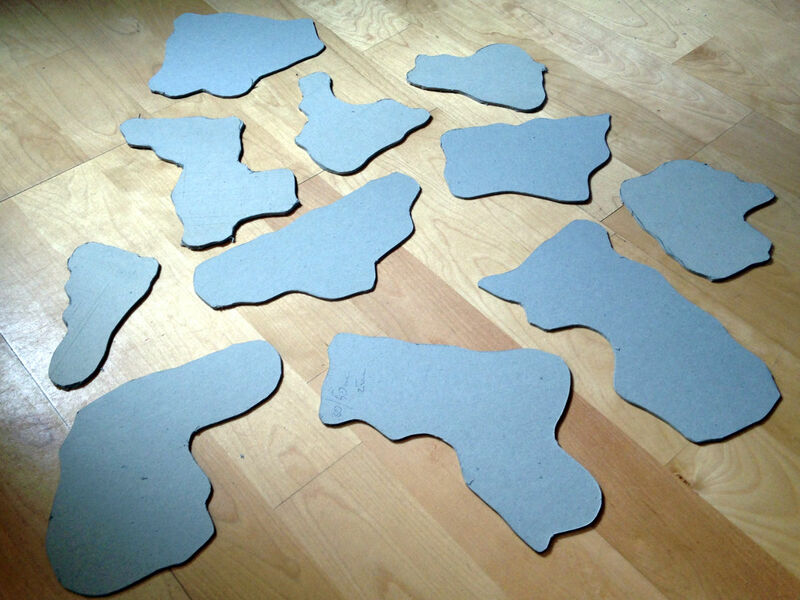 The foam has a nice rough texture when it breaks so I used a blade as a guide and then pulled the larger pieces apart. 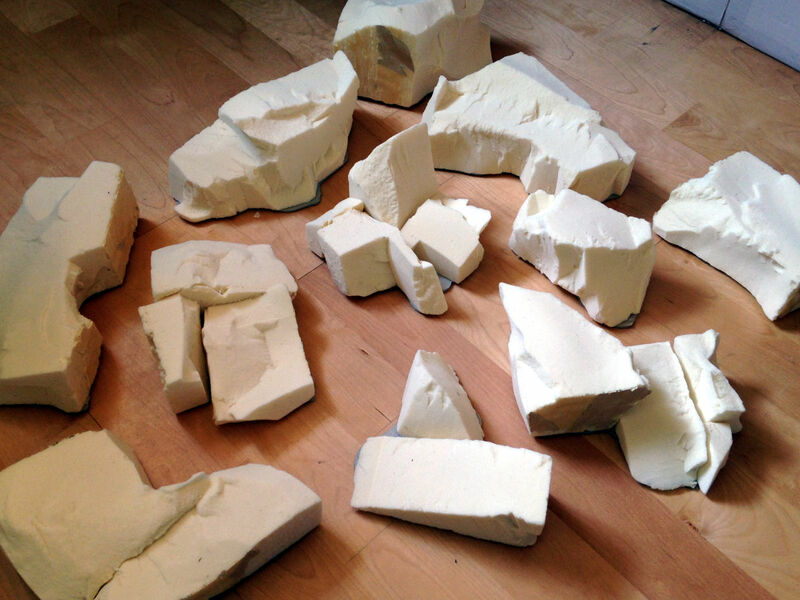 Breaking off chunks gave me a nice ‘rock’ look to the foam. For the larger pieces I perforated lines with the knife which created natural looking strata once the excess was broken off. 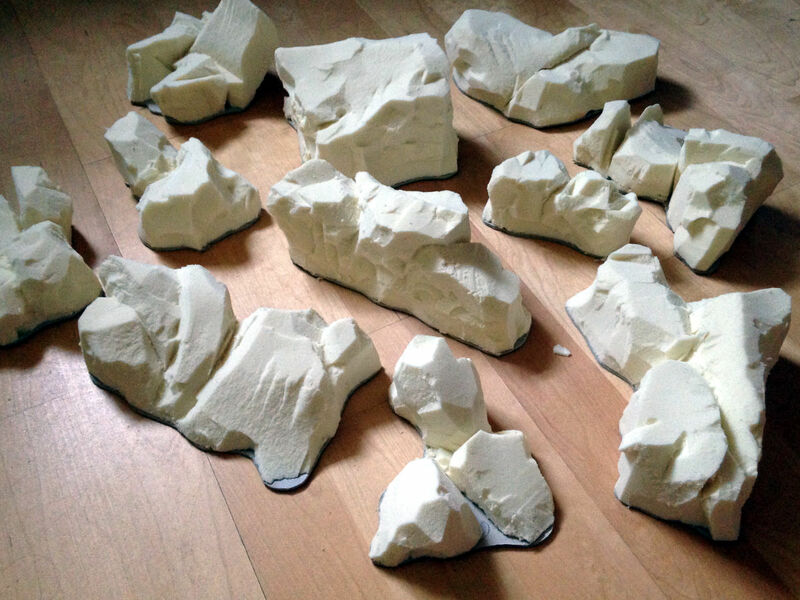 Happy with the final shape I mixed up a little PVA and sand to full in some gaps as loamy deposits and glued some large train ballast in the hollows to act as larger scree. 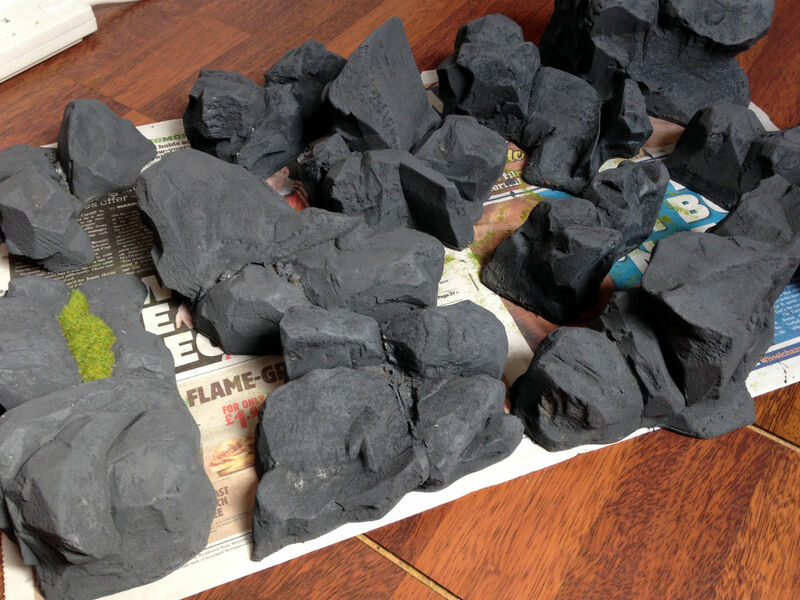 Once dried they got a liberal undercoat consisting of black, white and burnt umber acrylic mixed with PVA. This sealed the foam from further dusting. Successive dry brushing adding more white and burnt umber to the mix with each coat until I achieve the desired pale sandy grey colour. 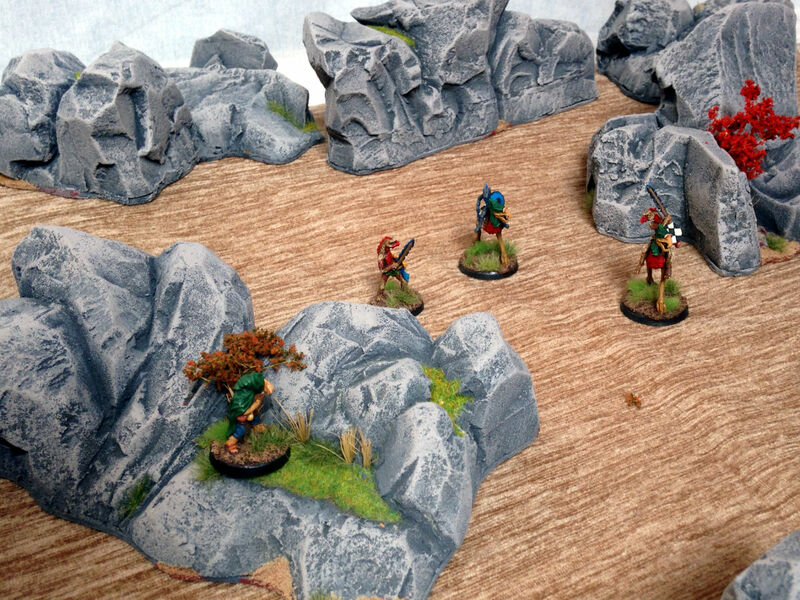 State grass, sand and a selection of scenics were applied to give the rocks a little life and colour. All in all very happy with the result. 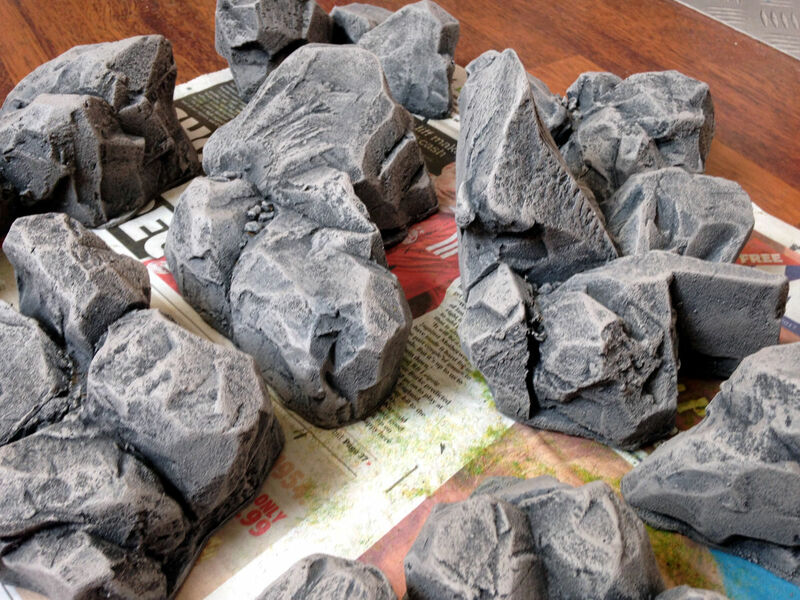 The finished rocks are very light, perhaps not the most robust and prone to chipping but will make a very nice addition to the table.